All patterns are custom designed & thoroughly reviewed and tested prior to sale. Your satisfaction is our goal. These fun and playful outfits are perfect for summer and for layering in cooler weather. The tops have several ruffle and sleeve options with elastic necklines for an easy, pull-on fit. Capri pants have elastic in the waist. 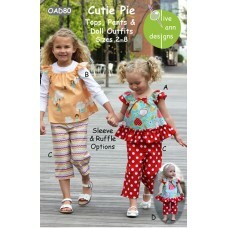 The matching doll outfits fit most 18” dolls or the “Best Buds” olive ann doll. 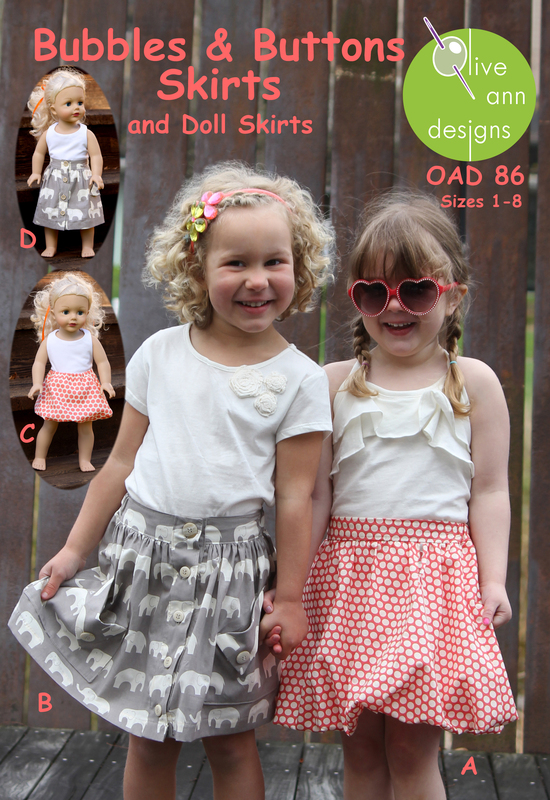 Models shown in Riley Blake Fabrics. 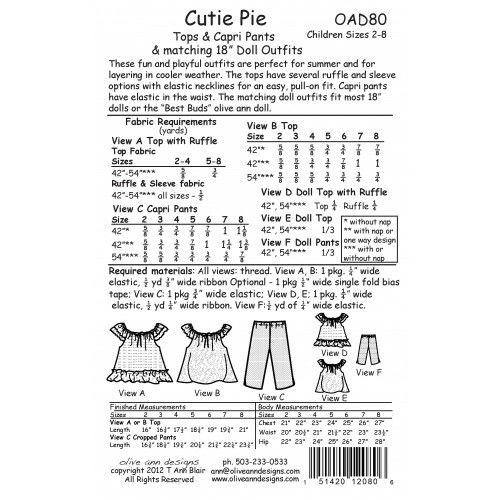 Available in tissue patterns with complete, detailed and easy to follow instructions. Have an idea for a pattern? Check our our "Favorites" list. Log in to start your wishlist & take it one pattern at a time. PDF Patterns are now available for select patterns. You'll see an option to buy PDF or Tissue Version. Thank you for choosing Olive Ann Designs. We would love to see and share pictures of what you've been able to create with our patterns. Please send us pictures & let us know what you think of your experience using our patterns. Copyright © 2014, Olive Ann Designs, All Rights Reserved.